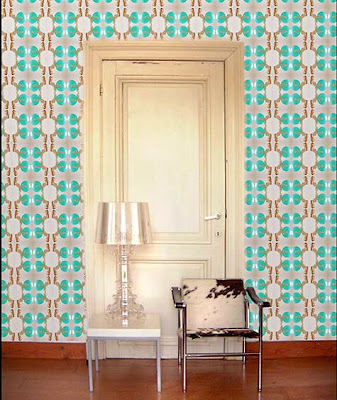 Dutch designer Rachel De Joode designs beautiful patterns and wallpaper designs which cast almost an optical illusion. 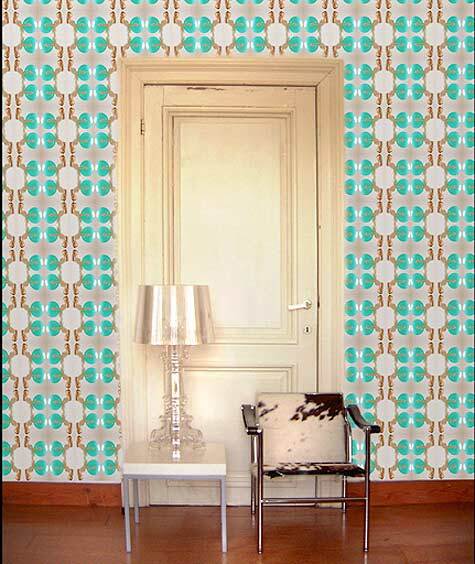 Photographic imagery of women in different dresses making different movements, makes up the pattern up close, which from a distance, blends together to create an overall large scale exotic, beautiful pattern. The narrative is changed from one understanding to another - one story up close, and another from a distance.